Have you ever *genuinely* thanked your coworkers? 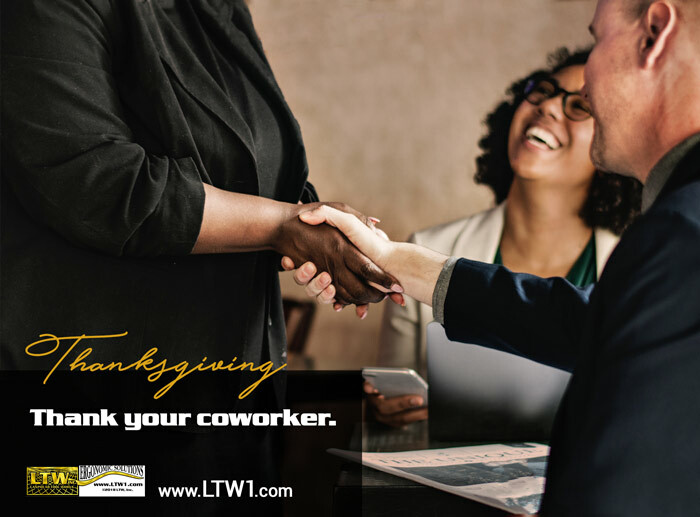 For us at LTW, the company wouldn’t be the same without any one of our valuable team members. How do your coworkers help you? Do they share jokes, keep the work space tidy, or help you meet a deadline? We don’t know of anyone who doesn’t like to be appreciated. Are you a helpful coworker? We all like to be helped – but do we like to help? Let’s all strive to treat others the way we want to be treated.